The materials used in the construction of airplanes are subject to rigid testing and comprehensive quality control. Elemental analysis plays a key role to ensure the desired properties of the materials used in construction are met. This includes for example elasticity or the protection from embrittlement. Because the elemental content of carbon and sulfur greatly influences the hardness and workability of materials such as steel and titanium, their precise elemental analysis is important for application within the aerospace industry. 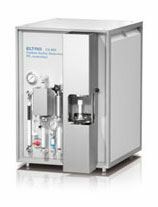 The powerful induction furnace of the CS-800 elemental analyzer melts inorganic samples in a pure oxygen atmosphere at temperatures above 2,000 °C while up to four independent infrared cells with flexible measuring ranges precisely determine the carbon and sulfur content. 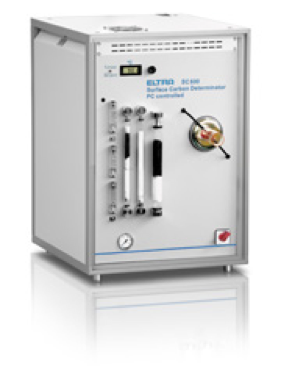 Elemental analysis in the analyzer is carried out via infrared cells and a sensitive thermal conductivity cell. Next to the total carbon content (TOC) bound within a material, the determination of surface carbon is a special requirement for quality control in the aerospace and metal working industry. Process water and oils might, for example, contaminate the surface and therefore render a reliable coating or further processing of the material more difficult or impossible. 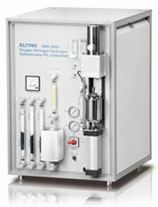 The SurfaceC-800 provides an extra-wide sample sluice so that even large samples may be analyzed for surface carbon content.